Time Machine Discovered. Build Me Up Buttercup Involved. I have discovered the secret to time travel. 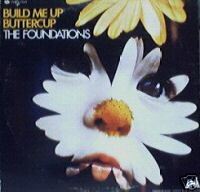 Build Me Up Buttercup is not an important song, musically. It’s actually pretty lame. Doesn’t matter. When I heard that song, I was 9 years old again. I was up in my bedroom, listening to the top-40 on my sister’s transistor, singing at the top of my lungs. Certain songs have the power to instantly transport us back to points in our own histories. It is immaterial whether the music is good or bad. What matters are the associations in our memories. If I hear What’s Going On by Marvin Gaye, I have to sing along. Passionately. My middle-aged, white, establishment self may be scrubbing pots at the kitchen sink, but in my heart I am 12, looking for something to protest. Right on, brother! The most powerful songs are those we learn during puberty. Something about all the growth and hormonal upheaval going on allows the music to become hardwired into our DNA. It is a time for discovering your music, and it is magic. When I am old and senile, drooling in my chair in the nursing home, unable to even remember my own name, I will still know all the words to Stairway to Heaven. When it plays, I will leave my body. It will be 7th grade again, and I will be playing spin the bottle in Keith O’Brien’s basement. My first kiss. On my deathbed, moments away from meeting My Maker, if someone plays In-A-Gadda-Da-Vida (Iron Butterfly, my first album, thanks sis), I will get to my feet. Then I will stand around, and shuffle awkwardly like we used to do at high school dances. Because you never could dance to that sort of music. And if a really long drum solo came on, like on In-A-Gadda-Da-Vida, you were stuck. Out on the dance floor without any dance music. After a while you’d give up and walk off the floor. If the song is Roundabout by Yes, it would tear the veil of death. I do believe it would bring me back. Even after I have passed on, I will rise! But that would be a limited time thing. Probably wouldn’t work after I’m embalmed. And it would only last for the duration of the song. Then it’s right back to dead. What is your ticket to ride the time machine? This entry was posted in General Ramblings and tagged humor, life, music, musings, philosophy, time travel. Bookmark the permalink. 12 Responses to Time Machine Discovered. Build Me Up Buttercup Involved. Scarily enough mine is 80’s hair band music….so when I hear Metallica “Enter Sandman” played in the instrumental version in an elevator….watch out…I might start head banging right there! Then of course there is Skid Row…”18 and Life”, which I was 18 years old (maybe 17) when it came out and sitting on my boat in the middle of the lake in Michigan playing it as loud as possible, or sitting around a campfire, screaming the lyrics with my other college bound friends…probably drinking something illegal…ahhh those were the days! I can just see you, rocking out in the elevator, all dressed up on the way to an important closing. Just because we look like grownups, doesn’t mean we aren’t teenagers inside! For me, some high school classics include “Everybody’s Working for the Weekend” or “What I Like About You” (Romantics). Classic dance tunes at those dreaded-but-at-the-same-time-loved h.s. dances. And I could write a whole article on all of the songs I remember from before I was 5 – “Penny Lane” by the Beatles, “Hitchin’ A Ride” by some 60s group, that weird song about Timothy, the kid who was cannibalized (Peg, you know what I’m talking about)… the list goes on! I DO know. That was a creepy, creepy song (Our stomachs as full as they could be and nobody ever got around to finding…..Timothy). Did the authorities do a background check on those guys – any missing friends? Like Gary Puckett and the Union Gap – he was always singing about having the hots for really young girls. Ever time one comes on the radio I wonder if DCFS ever checked him out; questioned his nieces, manager’s daughter, etc. Ok. Jr. High – Barry Manilow’s “Mandy”. “Sylvia’s Mother” by, you guessed it, Dr. Hook and the Medicine Show. On to high school and Stairway to Heaven while me and my friends were…well, doing stuff. Playing “Love Hurts” over and over after my very first boyfriend broke up with me. Well, he didn’t actually break up. He just started walking around with some other girl, holding her hand, kissing her, right in front of me. I assumed we were broken up. Thanks a lot for this ride in your crappy time machine. (j/k). I like your posts. “Love Hurts” wound-licking. Mine was Best of Bread, “It Don’t Matter To Me”, listened to while lying in the dark in our family living room. Or James Blunt moaning . . . again . . . .
Now you’re just bringing me down.